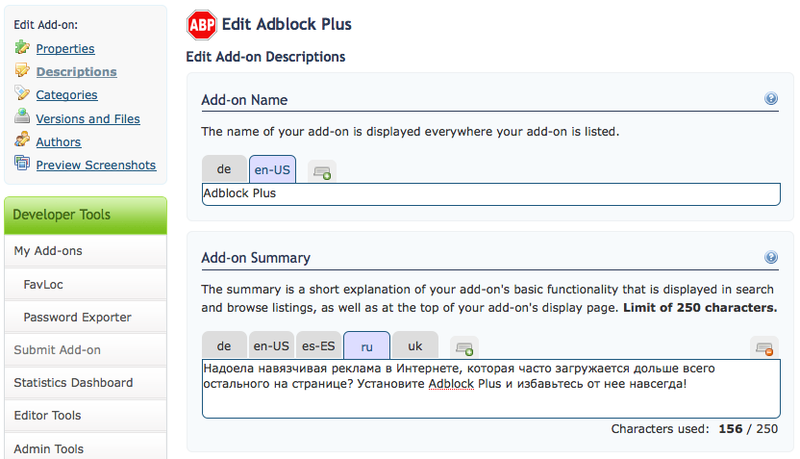 Last week I blogged Part 1 of the previews of upcoming changes to the Developer Tools area of addons.mozilla.org. This week we’ll look at another new page in the revamp, now known as AMO milestone 3.5. Clearer understanding of translations with the idea of “adding” and “removing” translations rather than leaving untranslated fields blank. Sleek appearance. 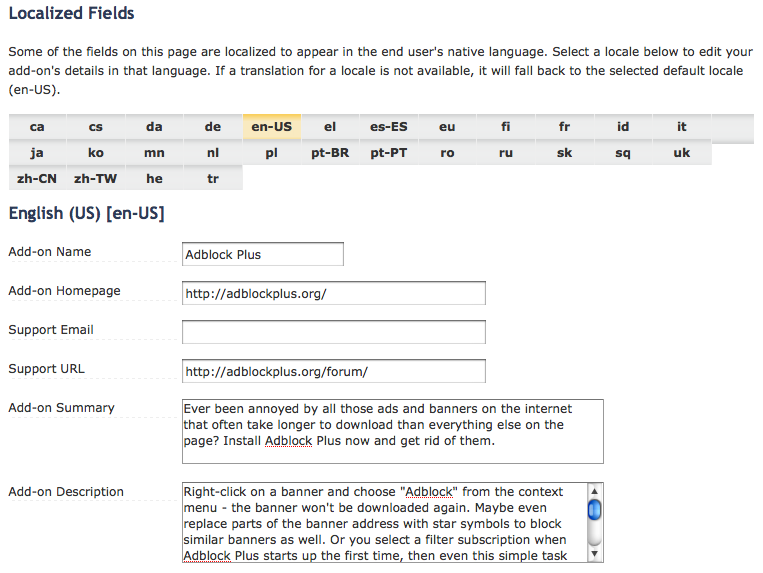 The translation boxes match the rest of the site, although some of the fields pictured may move to the Edit Add-on Properties page. Complete rewrite of backend code for retrieving and saving translations that will dramatically reduce the number of queries and processing required. Closer to 3.5 we’ll have a staging area setup for testing these new tools, but until then, please post any feedback you have as comments here. Thanks!